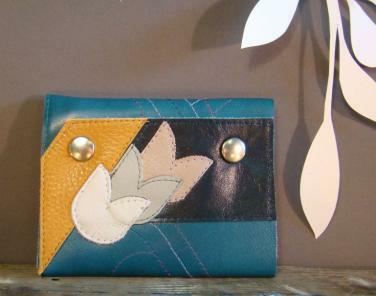 Local designer and maker of Sown Designs, Shelby Sneva, has been continuously improving her craft and expanding her upcycled leather goods for over 9 years. 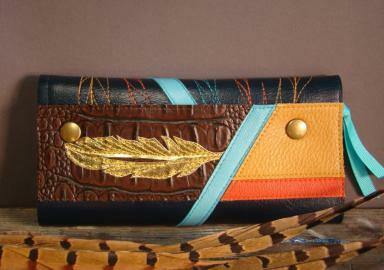 Her one of a kind, beautiful wallets and cuffs are now available at the Co-op. “Sown Designs’ fine leather accessories are handmade in Bellingham, Washington. As an artist and designer, I draw inspiration from my affinity of nature, fashion and fine art. Sown Designs’ accessories include wallets, cuffs, clutches, shoulder bags, and earrings, and are made from 100% reclaimed leather. All of my products are unique and each piece receives the utmost attention to quality and detail.